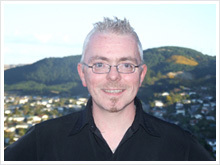 I live and work in Wellington New Zealand and moved here in August 2004 with my wife and daughter for a better lifestyle and more career opportunities. We chose Wellington to live in as it is a is the capital of New Zealand, the country’s second largest urban area and the most populous national capital in Oceania. It is in the Wellington region at the southern tip of the North Island, near the geographical centre of the country. As New Zealand’s capital city, has so much to offer. Set on the edge of a stunning harbour and surrounded by rolling hills, it’s a city waiting to be explored. Wellington is New Zealand’s centre of government and the world’s southernmost capital city. The city is home to many museums, theatres and arts festivals, including Te Papa Tongarewa (the Museum of New Zealand), the New Zealand Symphony Orchestra, the Royal New Zealand Ballet, and the biennial Festival of the Arts. The city is situated alongside Wellington Harbour and surrounded by natural beauty. From the central business district, it is only a quick drive to find stunning countryside and rugged coastlines. There are so many restaurants, café bars, coffee shops and bars it is easy to see why Wellington has developed such a café culture and taste for good food, coffee and fine wine! The nightlife is always very good with a multitude of bars and nightclubs to explore, in a very safe city centre! We now have our own city football team called Wellington Phoenix. Which has been a great experience for the city and football fans. When I first arrived in Wellington I was employed by a small private hospital as a staff nurse, it was a lovely little hospital and everyone was very accepting and friendly from the start but after only a few months, I moved to Wellington Hospital, the regions public hospital, to become a charge nurse in the Recovery Room (PACU). The recovery room is a 12-bedded unit that services 10 theatres, covering all specialties from Neurology to Orthopedics, from paediatrics to the elderly. It is an acute Hospital the cover the region for emergencies with the help of the Westpac helicopter. Capital and Coast District Health Board is one of 21 District Health Boards (DHBs) throughout New Zealand. We serve a population of about 270,000 residents and a regional population of about 900,000 people. In January 2009, which is only about 10 months away we move into to a brand new, purpose built regional hospital, which sits just in front of the current buildings. The Hospital has cost in excess of $50 million and is state of the art, with equipment and design. We are all very excited about this and cannot wait to move. When I moved to Wellington Hospital I was fortunate enough to become involved in designing the new Recovery unit (PACU) and it has been built to my altered design in conjunction with the architect. The thing I have enjoyed about working in New Zealand and for Capital and Coast District Health Board at Wellington hospital is the fact that I have been given so much support from my managers and my career has developed quite quickly through development, staff development is a key foundation of Wellington Hospital and I am just back from a conference in Melbourne, which was fully funded by the organization. I have also been on at four courses over the past few years with another two planned for this year! Moving to Wellington Hospital was a great move, as it has not only ensured my professional development but also my career development, as I am now a Nurse manager responsible for three units with over 50 staff. Many opportunities exist in Wellington Hospital, which is why I have progressed so far in just three years. I have also been involved in many change projects over the pat 12 months to improve our services and patient journey. It is amazing how different some things in New Zealand are from being on first names terms with the Director of Nursing, the Chief Executive Officer, the Chief medical officer and many of the executive management team, something that never happened much in the UK, it is also amazing the support I receive from my own manager and other mangers. But nursing itself is pretty much reflective of the UK, employing almost identical standards, procedures and policies. Which makes it an easy transition for a UK nurse or ODP for that matter. My family also loves Wellington especially my daughter, who has become such a Kiwi now and has embraced the Kiwi outdoor life. She loves her school, her life and the mild weather although she does miss snow sometimes, since it always snowed in Scotland where we came from! My wife is also a Charge Nurse in another Wellington public hospital and she has also had many career opportunities, training and development. We initially came over to New Zealand on a two-year work permit and I had a position secured through Tonix Recruitment Agency before leaving the UK, Tonix were fantastic and managed to find me a job when other agencies could not and I still work with the team now, though they tend to find UK nurse for me now! After around 12 months we applied and gained residency status. So we are now NZ residents with no plans to move back to the UK, since we love our life here! The weather here is pretty good compared to the UK, though we have Xmas in the sunshine! Wellington can get a bit windy at times but that is why it can be called the “windy city”, fortunately this is not all the time and we have had such a great summer. The winds mean we have very clean air, low pollution and a breeze is nice on days that are too hot! Moving to Wellington was the best thing we have done, for our family and our careers!